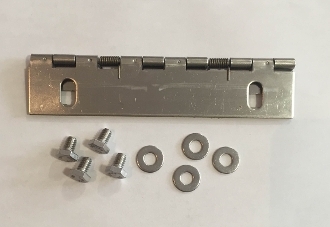 6" Stainless Steel Spring Hinge. Fits most CMB mailbox cans. $18.00 plus tax where applicable; If Placing Order For 5 Or More Please Contact The Beautiful Mailbox Customer Service Dept 800 856 6983 For Shipping Price.